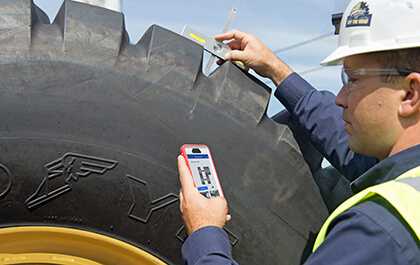 Our powerful management tools give you the information you need to make better decisions about your tire assets. Our powerful EMTrack tool gives you the ability to track critical data about the performance of your tires to help you manage your operations more effectively. 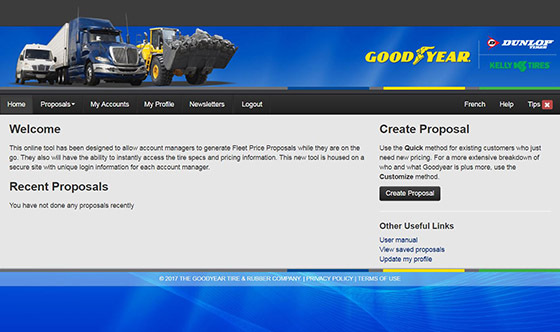 Goodyear's OTR proposal developer helps you select the right tire. 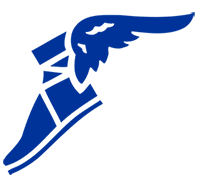 Our Goodyear Learning Centre courses cover products, services, management tools and more and are exclusively available to you.